Jimmie and Wanda Greer, the Brokers of Destin Beach Realty, have been helping clients and customers with their real estate transactions for over 16 years now. Proven hard work and quality service have rewarded Jimmie and Wanda with continued repeat business and referrals from past clients. Jordan, a native of Montgomery, Alabama has vacationed in Destin his entire life. After a brief stint living in Destin he fell in love with the area and all it has to offer. The emerald coast is a dream come true home and he would love to make your dreams come true. Heather has been with Destin Beach Realty since May of 2003. Heather has enjoyed expanding her knowledge of the hospitality industry. She has lived here her entire life and is happy to work along the Emerald Coast! Jennifer has been with Destin Beach Realty since March of 2009 but has been working in the vacation rental business since December of 2000. 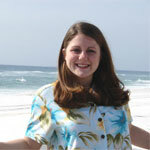 Jennifer has studied hospitality at the Academy of Sandestin and has an exceptional history of great customer service. Gena has been with Destin Beach Realty since May of 2011 but has been working in the vacation rental business since 1997. She has years of customer service experience and enjoys working with people to make their vacations as enjoyable as possible.